Violent storms, powerful currents, hazards to navigation, ever-present human error, and other factors, have long combined to make for accidents at sea. These accidents often result in catastrophic personal injuries, such as traumatic brain injuries (TBI), spinal cord injuries, paralysis, nerve damage, burns and amputation. In these cases, a fast, cheap and easy settlement will almost certainly never be enough. To give yourself the best chance of recovering full compensation, you will want to contact an experienced attorney who has had proven success with these types of maritime claims. At Seattle Maritime Attorneys we know that when a person suffers a catastrophic injury their life and the lives of those who love them are profoundly and permanently changed. Because of that, we focus not only on the needs of the person injured, but also on the needs of the whole family. And in even the most challenging cases we have handled over the years, the experience we bring and the approach we take have combined to produce results that give our clients the resources they need to rebuild. Whether you were injured in a cruise ship accident half way around the globe or while working on a Puget Sound ferry — our commitment to providing exceptional service means that we work closely with you, and also with medical and economic experts to ensure that all of past, present and future damages are adequately compensated for when the case is finally resolved. Working together, and with other maritime law attorneys nationwide when needed, we have been effectively asserting the rights of injured cruise ship passengers for more than 50 years. 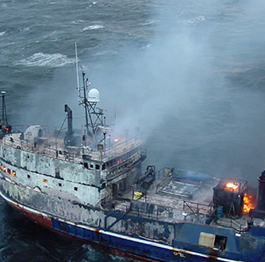 Today, we regularly handle Jones Act and maritime injury cases originating from around the globe and from all parts of the North American continent — including the Gulf of Alaska, the Bering Sea, the Caribbean Sea and the Gulf of Mexico. Call or contact us online to arrange a free initial consultation with an experienced lawyer. Our nationwide toll-free number is 877.800.1007. Our local numbers are 425.454.3800 (Bellevue) and 206.729.5252 (Seattle).